Welcome to Ticketgum, the leading site for all official Chelsea FC fixtures! We supply Chelsea tickets to a variety of upcoming venues, matches and dates, as well as seating and price preferences to suit every individual. This legendary club has seen a sea of success in the past two decades, winning 23 trophies since 1997. Don’t miss your chance to buy cheap Chelsea tickets now and witness unforgettable entertainment! Number of championships: Premier League (First Division) winners 6 times, Second Division winners 2 times. Number of Cup wins: FA Cup – 7 times, Football League Cup – 5 times, Full Members Cup – 2 times, FA Youth Cup – 7 times, UEFA Cup Winners Cup – 2 times, UEFA Super Cup – 1 time. UEFA Champions League wins: 1 time (2011-12). Chelsea FC, based in Chelsea in London, are an English team in the Premier League and one of the most famous clubs in the world. Chelsea FC dates back to 1905, when Gus Mears acquired Stamford Bridge athletics stadium with the intention of turning it into a football stadium. He created his own club and named it after the adjacent Borough of Chelsea, as the ground’s nearby location of Fulham already had a team named after it. Chelsea FC’s early progression fluctuated a lot, jumping between First and Second Division for their early years, until Ted Drake was appointed in 1952 and made major changes to the club's youth set-up, squad line-up and training regime. These significant changes led the team to their first victory in the 1954-55 season, by winning the League Championship. However, this success didn’t last long as Drake left the club a few years later. The 1960s involved a squad shake up, with the new manager building a talented youth team established from the reinvented set-up. They were somewhat successful, winning some trophies but falling short on others. This was followed by the shaky 70s and 80s. Stamford Bridge underwent a major redevelopment that risked financial stability in the club. Players were sold, the team relegated, and they faced losing their grounds at one point. Managers came and went, some improving the club a little and others not so much. And then came José Mourinho in the 2004-2005 season, where he led Chelsea to become the fifth English club to win back-to-back league championships since the 1940s, as well as two Football League Cups in 2005 and 2007, and an FA Cup in 2007. He was replaced, however, in 2007-2008, after a poor season at the club. Mourinho returned to the club in 2013 and had another successful run until 2015 when he was sacked after four months of the following season, with the club having lost 9 of their first 16 games and sitting only one point above the relegation zone. Two years after, Chelsea won their sixth English title under Antonio Conte. What is Chelsea’s Most Successful Period? Chelsea’s most successful period is from Mourinho’s first appointment in 2004 to his second appointment and subsequent end (2015-2016). In this period, the team won more titles and cups in Britain and in Europe than it had in any previous period in its career. 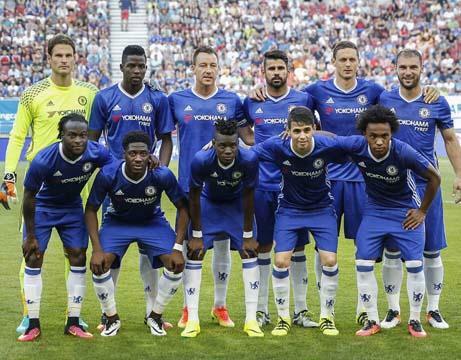 How to Buy Chelsea Tickets on Ticketgum? Select a Chelsea game from the team’s events menu. Choose your desired seating section, update the number of tickets and click “Buy”. Create an account or log in with an existing account to continue. Check the terms and conditions box. Confirm your Chelsea tickets purchase and wait for a confirmation email. Receive your Chelsea FC tickets and enjoy the game!